Between the mountains and the Mediterranean Sea, at the southernmost point of Europe and nestling amidst bougainvillea and olive trees are the headquarters of James Malone Fabrics. One can sense the inspiration of the south that is so present in James’s collections and can understand why he has chosen this location to interact with the rest of the world. Originally from London, James arrived in Málaga at the age of 19 and by chance, discovered his passion for textile design. Since then and throughout his professional life, he has not ceased to feed his spirit with contrasts and with the curiosity of one who lives trying to capture the essence of his surroundings. His creations have been impregnated with the crossing of cultures, accumulation of experiences, memories of his childhood mixed with his experiences in Andalusia. In the collection there are winds of west and east, brushstrokes of the African horizon, crossings of the Mediterranean Sea and Atlantic Ocean. Since the birth of the brand in 2011, in addition to owner, James is also the creative director. His work begins and ends in the fabric itself, to which he dedicates himself in body and soul always pursuing authenticity, aware that fabrics are capable of transmitting sensations to the places they inhabit. In creative development James is determined by his investigative spirit, he is obstinate, experimenting with infinite trials until he reaches the exact design, colour, texture and finish expected, a process that can sometimes take years. Creativity is the driving force of the company and consequently its main engine. 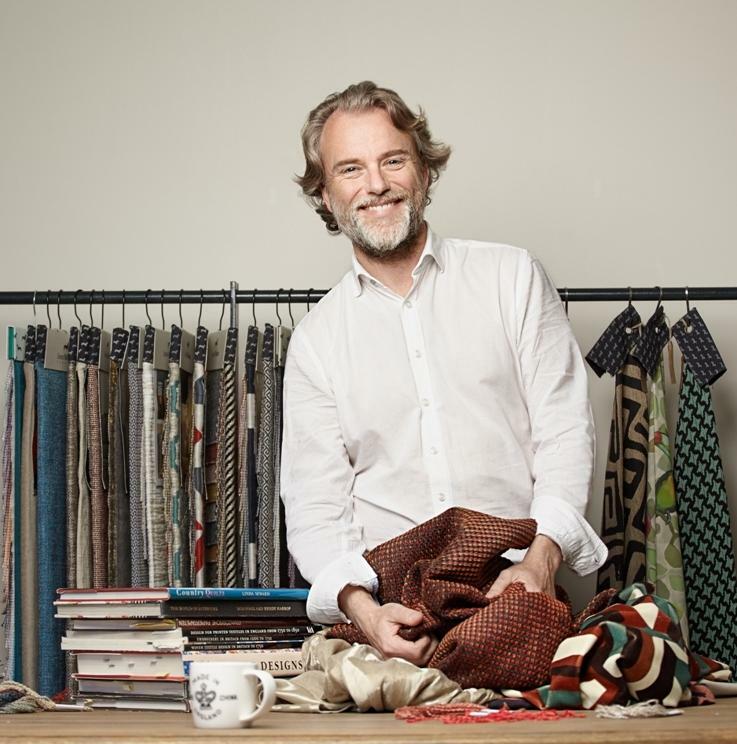 James is involved in the entire development process, using yarns unique to his textiles and collaborating with master craftsmen to weave them for him. The final results never cease to astonish him and whilst completely novel, his new designs hold a signature that reappear throughout the collection. Natural fibers such as linen, wool and bamboo are ever present in his unconventional prints and structured jacquards with a hinted tribal accent, all of which are part of the characteristics of James Malone Fabrics. The collection is rounded off with sophisticatedly woven plains, voiles with a touch of fantasy and wallpapers inspired by his textile designs. In essence, very personal and exclusive creations for a client who knows how to understand and enjoy them with the same passion with which they were conceived. Note: We cannot guarantee that colours shown here are truly representative of our products due to variations in computer screens.